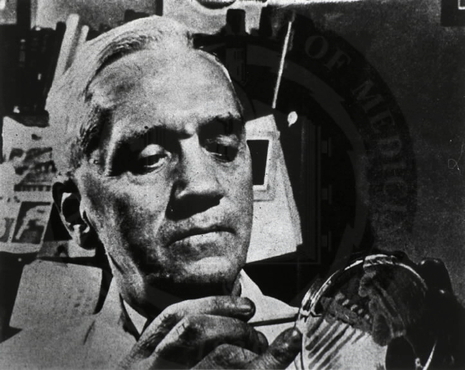 "When I woke up just after dawn on September 28, 1928, I certainly didn't plan to revolutionize all medicine by discovering the world's first antibiotic, or bacteria killer," Fleming would later say, "But I guess that was exactly what I did." By 1928, Fleming was investigating the properties of staphylococci. He was already well-known from his earlier work, and had developed a reputation as a brilliant researcher, but his laboratory was often untidy. On 3 September 1928, Fleming returned to his laboratory having spent August on vacation with his family. Before leaving he had stacked all his cultures of staphylococci on a bench in a corner of his laboratory. On returning, Fleming noticed that one culture was contaminated with a fungus, and that the colonies of staphylococci that had immediately surrounded it had been destroyed, whereas other colonies further away were normal. Fleming showed the contaminated culture to his former assistant Merlin Price who said "that's how you discovered lysozyme." Fleming identified the mold that had contaminated his culture plates as being from the Penicillium genus, and—after some months' of calling it "mold juice"— named the substance it released penicillin on 7 March 1929. He investigated its positive anti-bacterial effect on many organisms, and noticed that it affected bacteria such as staphylococci, and many other Gram-positive pathogens that cause scarlet fever, pneumonia, meningitis and diphtheria, but not typhoid fever or paratyphoid fever—which are caused by Gram-negative bacteria—for which he was seeking a cure at the time. It also affected Neisseria gonorrhoeae, which causes gonorrhoea although this bacterium is Gram-negative. Fleming published his discovery in 1929, in the British Journal of Experimental Pathology, but little attention was paid to his article. Fleming continued his investigations, but found that cultivating penicillium was quite difficult, and that after having grown the mould, it was even more difficult to isolate the antibiotic agent. Fleming's impression was that because of the problem of producing it in quantity, and because its action appeared to be rather slow, penicillin would not be important in treating infection. 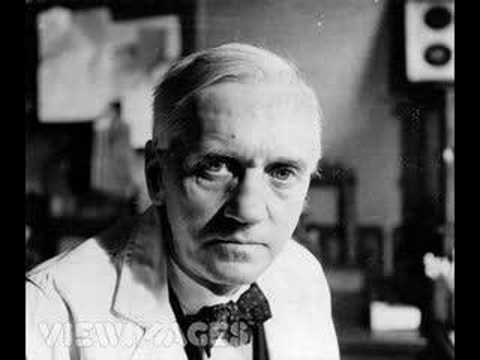 Fleming also became convinced that penicillin would not last long enough in the human body (in vivo) to kill bacteria effectively. Many clinical tests were inconclusive, probably because it had been used as a surface antiseptic. In the 1930s, Fleming’s trials occasionally showed more promise, and he continued, until 1940, to try to interest a chemist skilled enough to further refine usable penicillin. 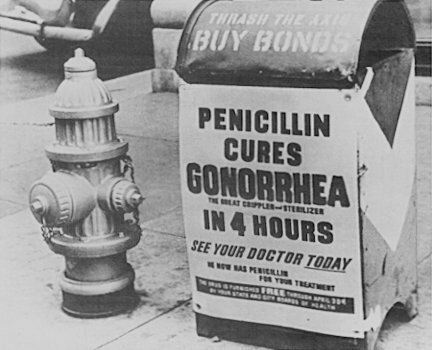 Fleming soon abandoned penicillin, and not long after Florey and Chain took up researching and mass producing it with funds from the U.S and British governments. They started mass production after the bombing of Pearl Harbor. When D-day arrived they had made enough penicillin to treat all the wounded allied forces. In 1928, while working on influenza virus, he observed that mould had developed accidently on a staphylococcus culture plate and that the mould had created a bacteria-free circle around itself. 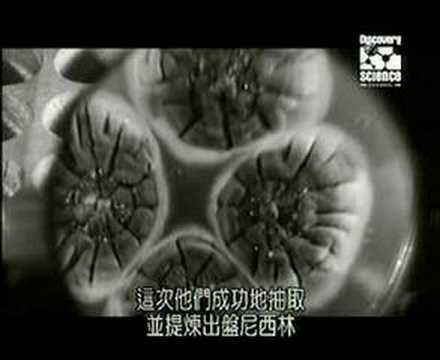 He was inspired to further experiment and he found that a mould culture prevented growth of staphylococci, even when diluted 800 times. He named the active substance penicillin.